When traveling in India, I received a message from International Best Seller Paula Morand. She invited me to be part of an exciting adventure of co-authoring a book. Her message was received a day after I heard in a meditation that I was to use my words to help women awake and advance to their greatness. Bam! Life is wonder-filled when you believe in yourself and have faith that the Universe has your back! 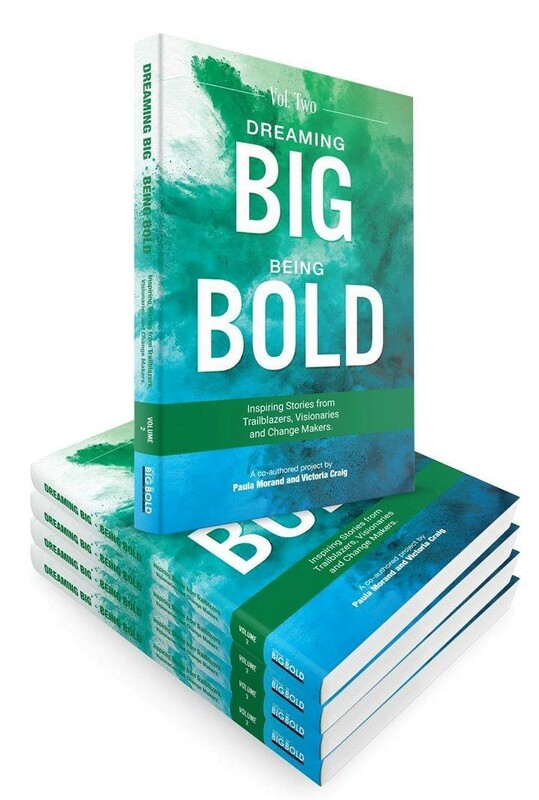 You are receiving this information because you have indicated an interest in being part of an an exciting new volume (Volume 2) in the international best selling anthology series, “Dreaming Big and Being Bold: Inspiring Stories of Trailblazers, Visionaries and Change Makers.” It will be an exciting collection of stories of people like yourself who have dared in life to dream big and boldly tackle and master life’s challenges. This collaboration, from each and every one of you, will generate a powerful book that will become a guide to success for others. It will be informative, mentoring and teaching every one reading it about their inner strengths, leadership and sense of self. It will open readers’ minds to new, exciting possibilities never imagined or considered before through the eyes and minds of today’s most profound teachers…those who dare to dream big and be bold.